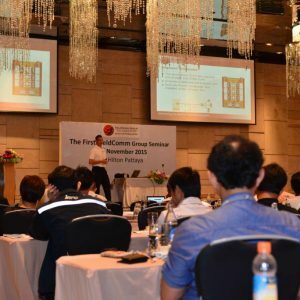 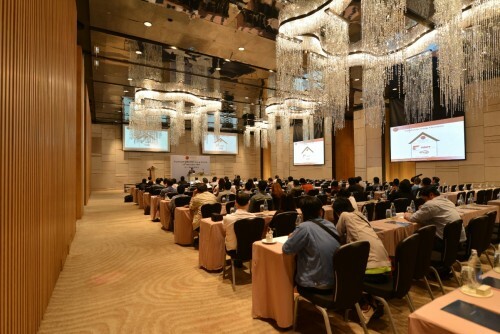 On November 19, 2015, Moore Industries Pacific participated in the first Fieldcomm Seminar to be held in Thailand. 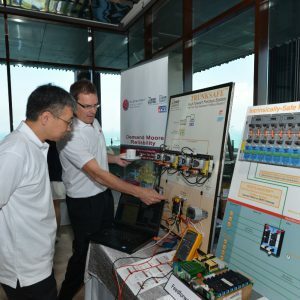 Industry speakers from many major suppliers were present with several presenting papers on HART and Foundation Fieldbus technologies. 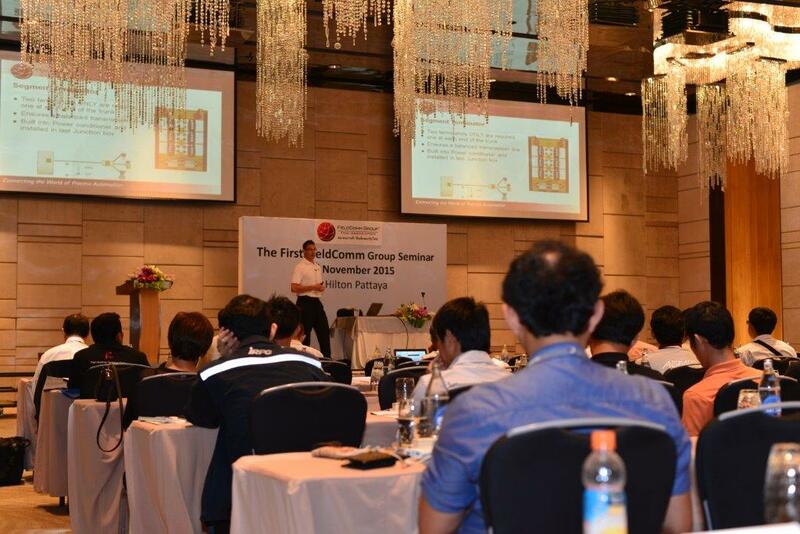 Michael Carolan, General Manager of Moore Industries Pacific, delivered a presentation titled “Understanding Fieldbus”. 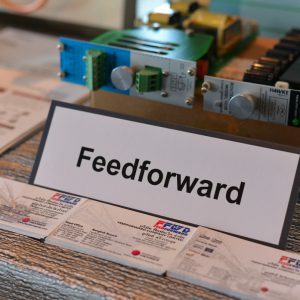 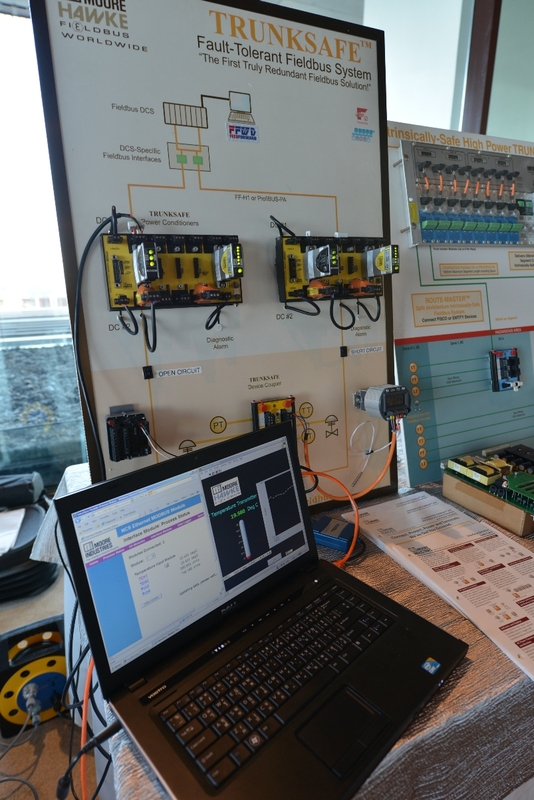 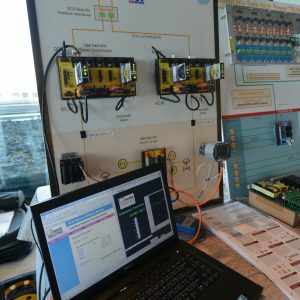 The presentation covered the basics of Fieldbus, it’s operational and maintenance benefits, and the advantages over the traditional analog technology. 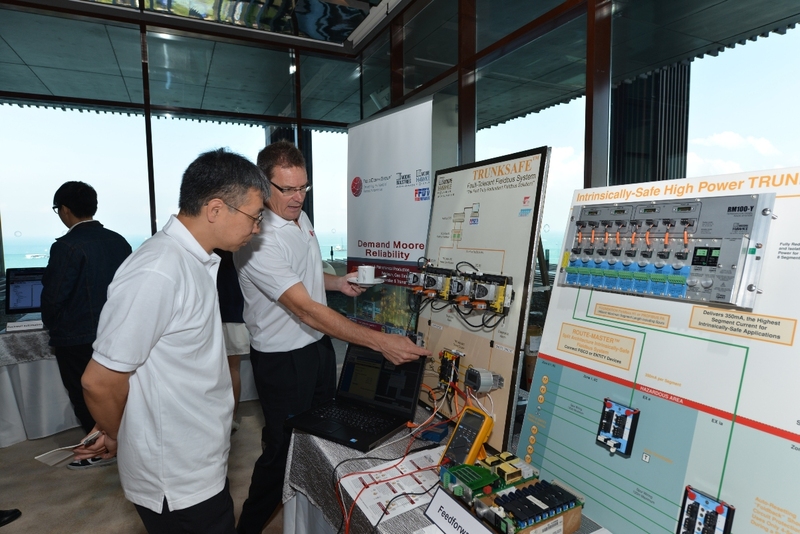 Moore Industries Pacific also had booth space in which was displayed Moore Industries’TRUNKSAFE, RM100, BULLET WirelessHART Adapter, and various Temperature Transmitters.FeedForward, Moore Industries’ manufacturer’s representative for Thailand and their staff, Supat, Udomsak & Nutthanan were present and had opportunities to speak with several customers. 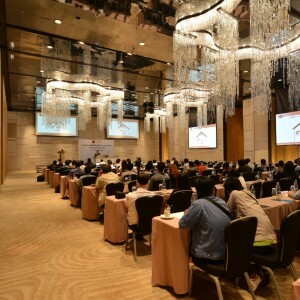 The event was attended by up to 100 of our end users consultants and suppliers.